One of the most well known hotels in Las Vegas is the mega luxurious Bellagio Hotel that opened up to visitors in 1998. Before Bellagio was Bellagio in all its glory, a different iconic hotel stood on its grounds - the Dunes Hotel. Take a look at this clip for a blast from the past as well as an inspiring tour of the Bellagio Hotel. So you’ve decided to finally visit the mecca of gambling and entertainment – glorious Las Vegas. Now it’s time to find out which hotels are worth staying in to ensure the best experience in the Sin City. 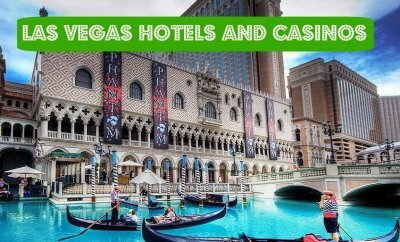 Here are a few options of some of the best Las Vegas Hotels and Casinos within the hotels, so you can have fun, relax and do a bit of the good old gambling in one place. Classy and luxurious Bellagio is famous for its indoor botanical garden and lake as well as dancing fountains. 5 pools are located in an Italian style courtyard, and the whole ambience of this delightful place can be described as a bit more mature and elegant compared to some younger and party-oriented options. Guests can choose from 16 restaurants, and nearly 4,000 rooms finished with granite and marble. Super famous Venetian casino resort is built around the Venice theme with indoor canals and gondolas as well as Piazza San Marco entrance that looks nearly 100% like the original. There are two towers, with the Venezia one catering for high-rollers. A few things worth mentioning about the Venetian are a massive pool deck finished with rose bushes and some of the largest rooms in Vegas featuring floor to ceiling panoramic windows and the cosiest Egyptian cotton bedding. Wynn Hotel is hard to miss as it’s located next to the only man-made mountain with forest and Lake of Dreams water show as well as casino floor full of natural light. The rooms are dazzling and massive in size starting from 620 square feet. There are 7 villas located around an 18-hole golf course and an enormous private pool with beautiful cabanas. Wynn Hotel is also a home to one of the best French restaurants in Vegas called Alex. Located in the south of the Las Vegas Strip, the Four Seasons is a bit removed from the chaos of the centre and would fit those who like a bit of calm ambience. 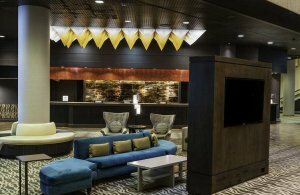 It’s the only hotel without the casino in it, which means that you can enjoy the luxurious experience in a bit of piece and quiet. The rooms and lobby are done in Art Deco style with lots of silk, velvet and marble used for the interior. The two main restaurants we can recommend are Charlie Palmer Steakhouse and Veranda. Don’t forget about the pool garden and a gorgeous Spa with an endless list of treatments for any taste. For those players who enjoy casino games on a regular basis and can’t get enough of Vegas-style gambling, we highly recommend trying out some online casinos in addition to the land-based ones. Playing online give players an opportunity to play anywhere anytime without booking a holiday to a destination such as Las Vegas. In addition to the fact that you can choose from hundreds if not thousands casino games and slots and play them on any device, online casinos are often giving away very generous welcome bonuses and a lot of free spins with your first casino deposit so don’t miss the opportunity to get some casino freebies. Ever dreamed of visiting the historical city of Venice? It's a long and expensive trip to Europe and most of us dreamers won't get the chance. Good thing then that Venice exists also here in the states! If ever passing through Vegas, check in at the Venetian Hotel that seems to be the next best thing to the real Venice. Complete with Italian fountains, bridges and gondolas. 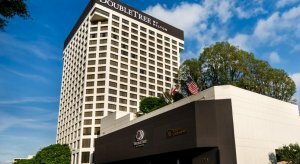 Kyoto Grand Hotel and Gardens has changed name to DoubleTree Los Angeles Downtown hotel, and is nowadays a part of Hilton Hotel Group. You can visit the new homepage here. 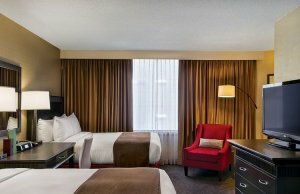 DoubleTree Los Angeles Downtown hotel is located just two miles from the Los Angeles Convention Center and walking distance from iconic cultural attractions. The hotel is a full-service hotel that blends Asian-fusion style with contemporary elegance. © 2019 Kyotograndhotel.com. All Rights Reserved.